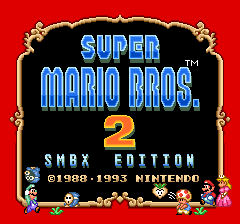 Super Mario Bros: Welcome to SMB64!! 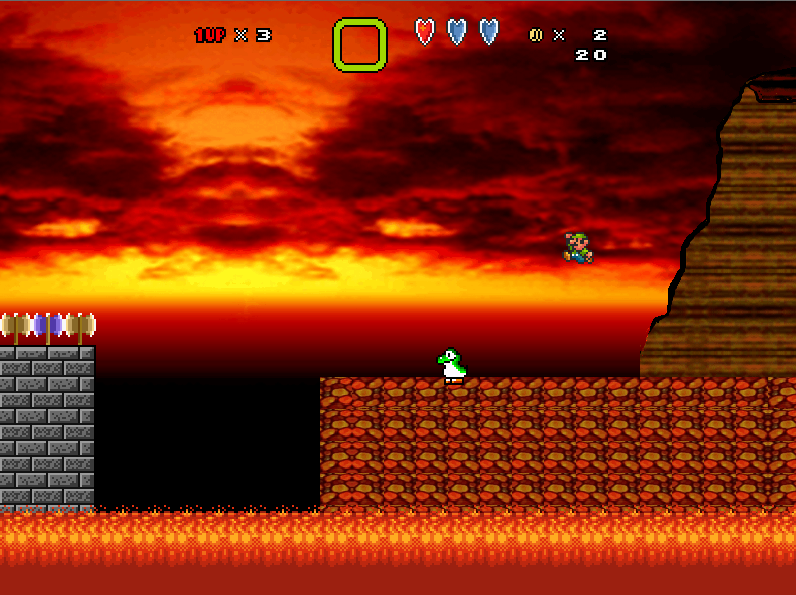 The area outside the castle is an introductory area in which the player can experiment. Scattered throughout the castle are entrances to courses via secret walls and paintings. Princess Peach inviting Mario to come to her castle for a cake she has baked for him. 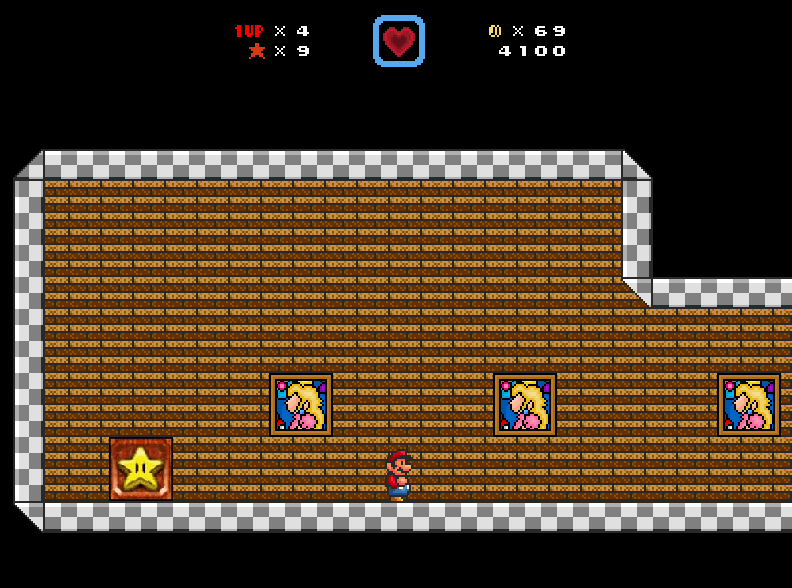 However, when he arrives, Mario discovers that Bowser has invaded the castle and imprisoned the princess and her servants within it using the power of the castle's [Redacted Number: More of 120] Power Stars. Many of the castle's paintings are portals to other worlds, in which Bowser's minions keep watch over the stars. 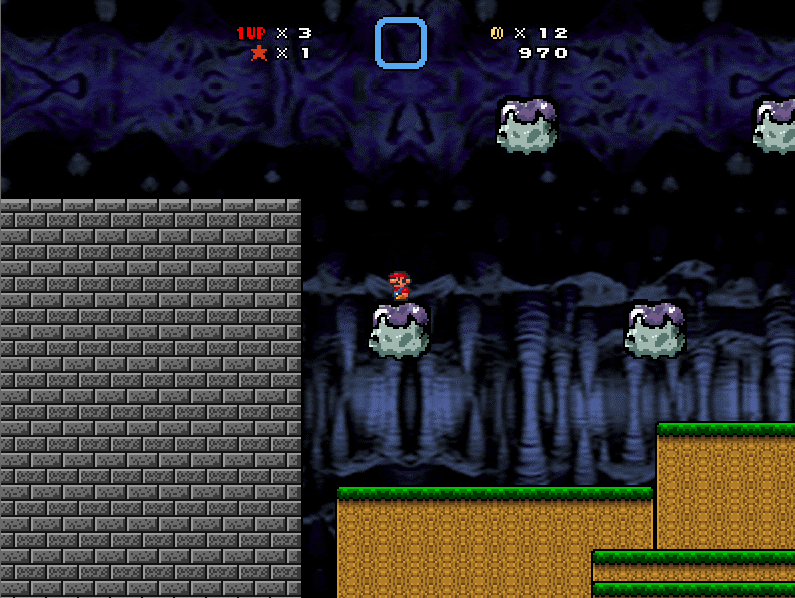 Mario explores the castle for these portals to enter the worlds and recover the stars. 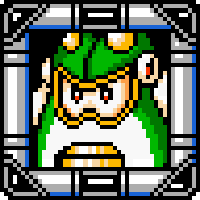 He gains access to more rooms as he recovers more Power Stars, and eventually traverses three different obstacle courses, each leading to its own battle with Bowser. 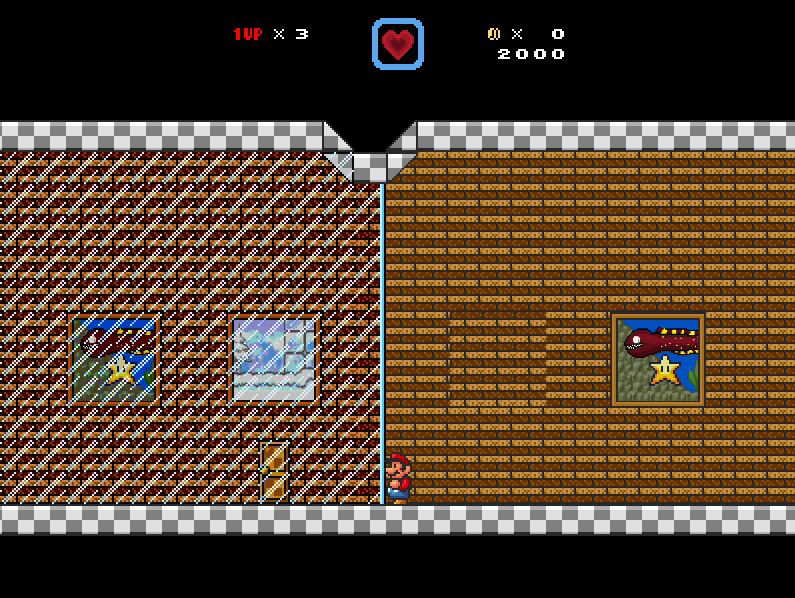 Defeating Bowser the first two times earns Mario a key for opening another level of the castle. 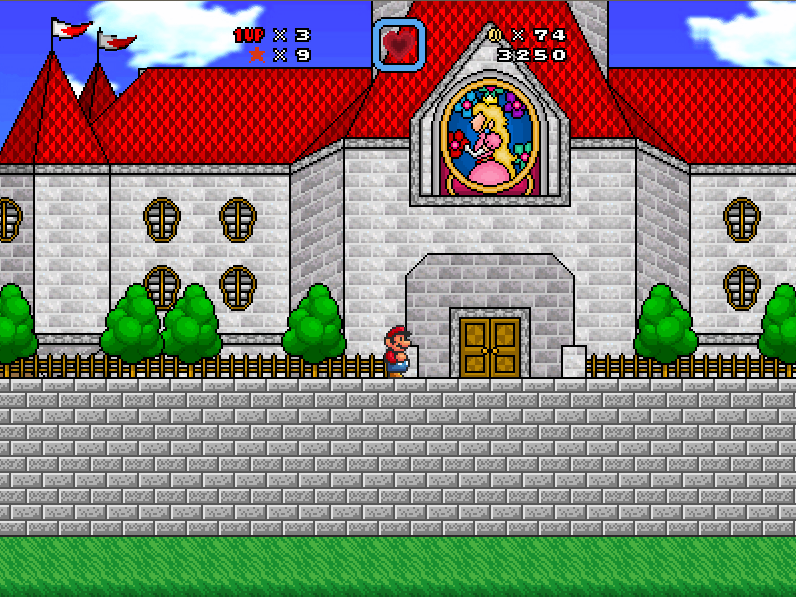 After Mario defeats Bowser in the final battle, Peach is released from the stained-glass window above the castle's entrance. 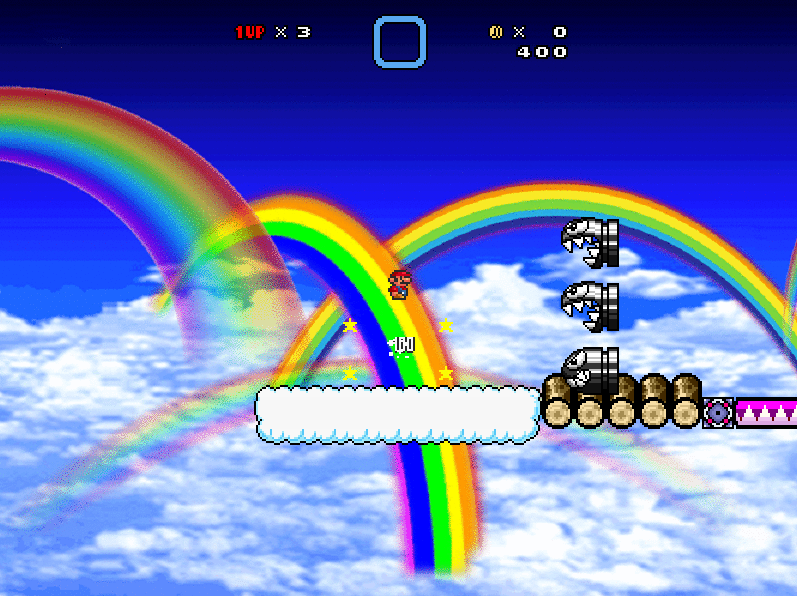 - added stage: Bob-omb Battlefield, Whomp's Fortress, Cool Cool Mountain, Big Boo's Haunt (DEMO). 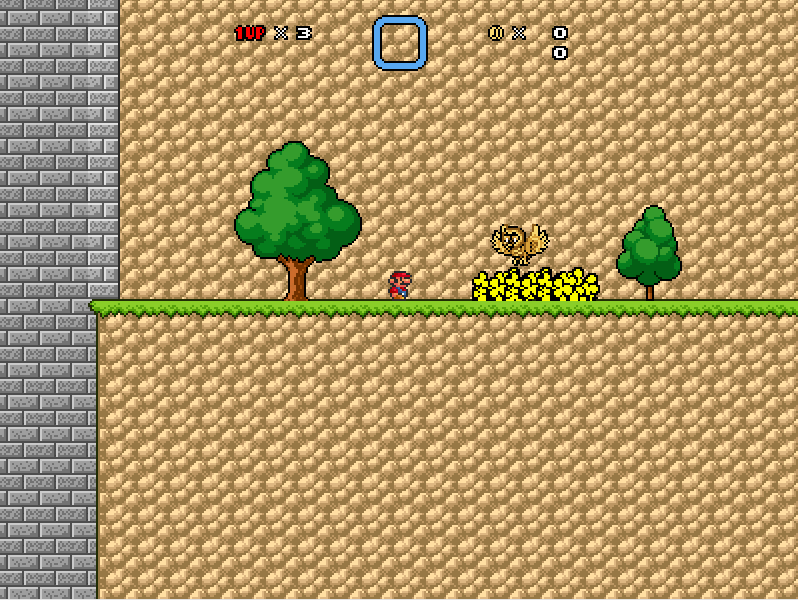 - added DEMO 1 end. 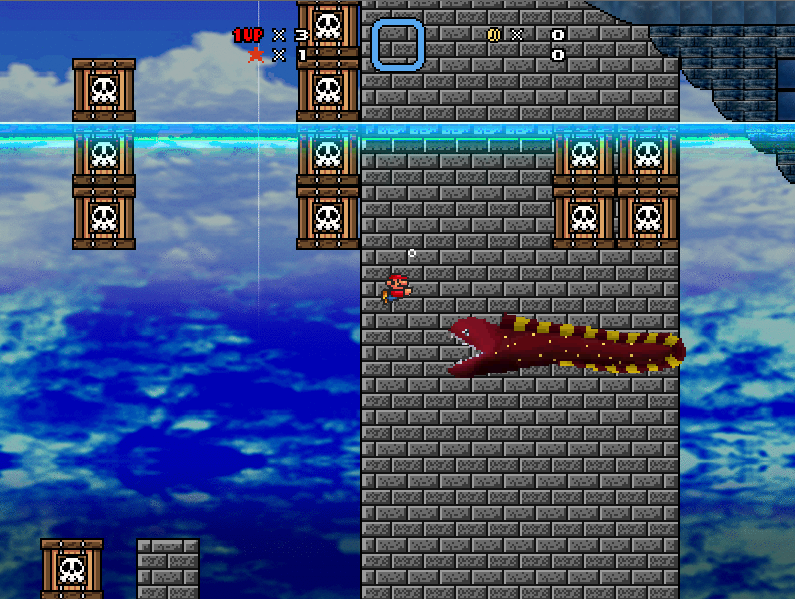 - fixed some bugs in the saving system. 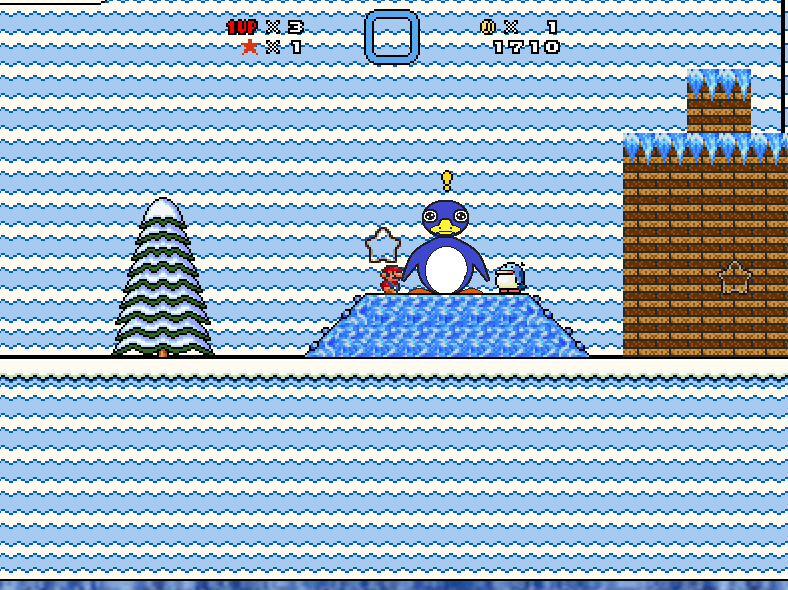 -Fixed error of sprites in whomp's fortress, cool cool mountain. - change images for paintings. 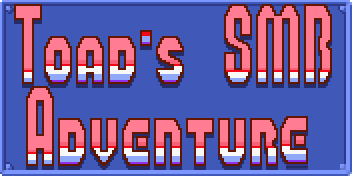 - added missing parts of the courses. Where the project needs help : For backgrounds and npc graphics. Please report all bug of the game in comentary box. Thank you. Last edited by ADMAndrew on Sat Dec 30, 2017 8:12 pm, edited 16 times in total. 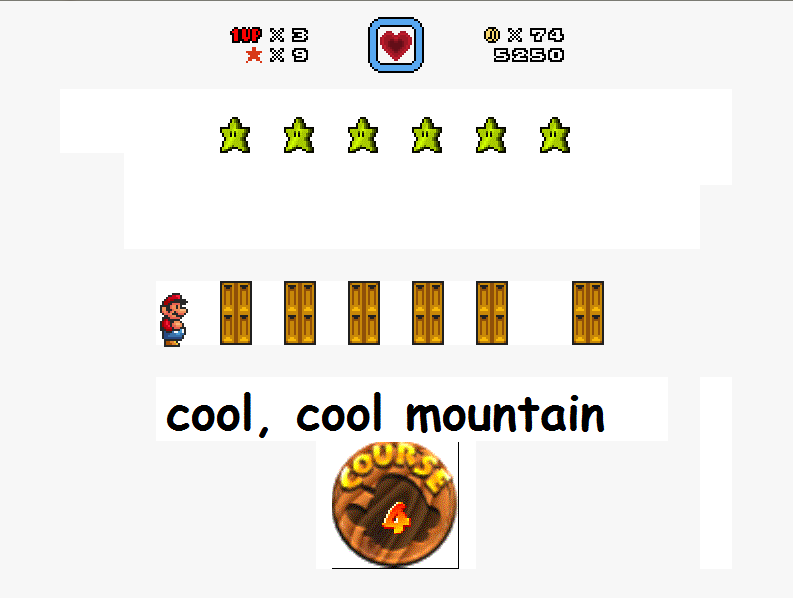 Re: Super Mario Bros: Welcome to SMB64!! Looks good but tbh the screens doesn't give us much and I don't think selecting the episode should be counted as a screen. DJFMHD wrote: Looks good but tbh the screens doesn't give us much and I don't think selecting the episode should be counted as a screen. Looking at the new screens it looks interesting and if this is a translation of sm64 to smbx how will things like the slides work. 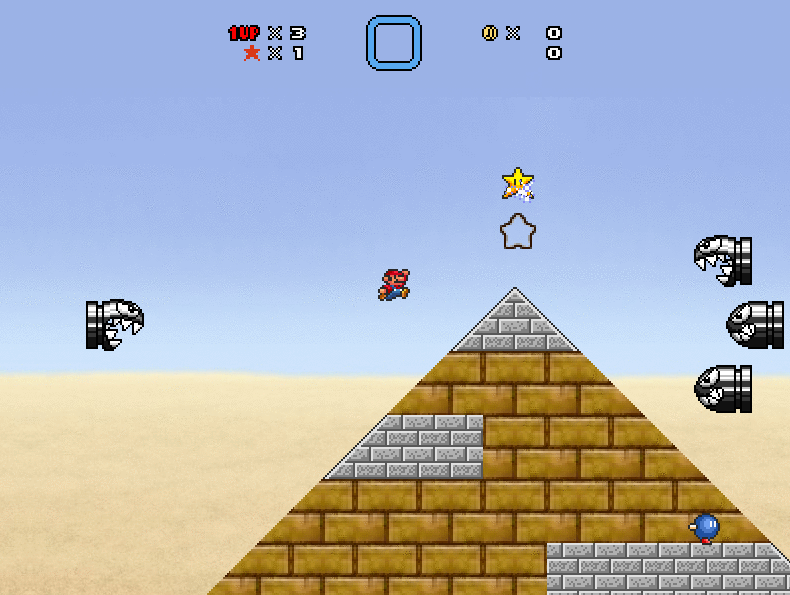 I'm fairly sure that Princess Peach's Castle's sprite is ripped from elsewhere; another fan game. Actually, no, I KNOW it. You need to give them some credit, or you might get flagged. No offence in any way. 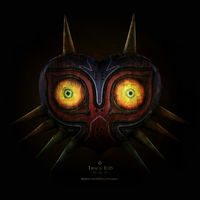 This takes me back to the Super Mario 63 days. 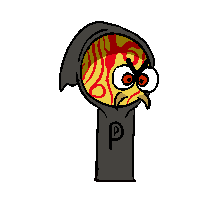 I specialize in remakes. I'm also working on a full out episode of my own. 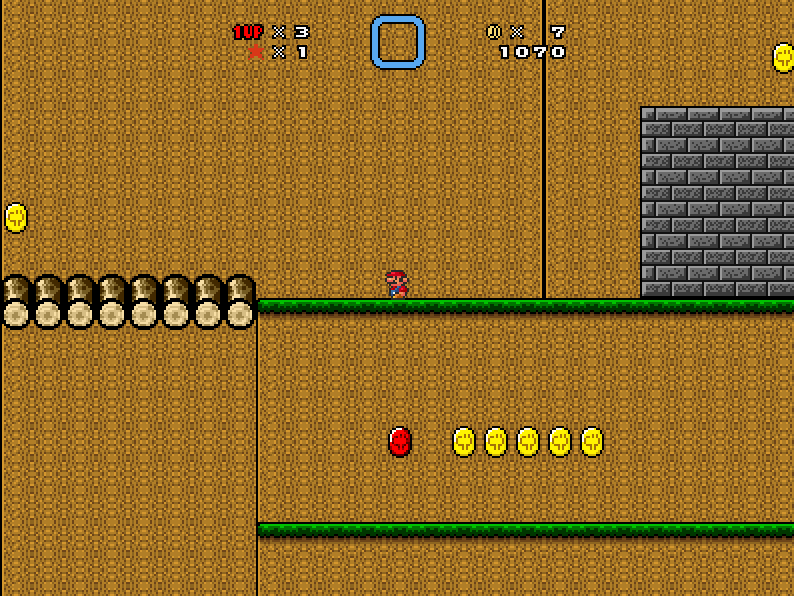 Actually i think that castle was ripped from Super Mario 63 as someone who's played it. It looks familiar. 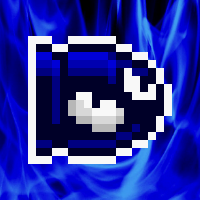 Userbar curtosey of Snessy the Duck. Come visit my YouTube where make music and sometimes i play games. 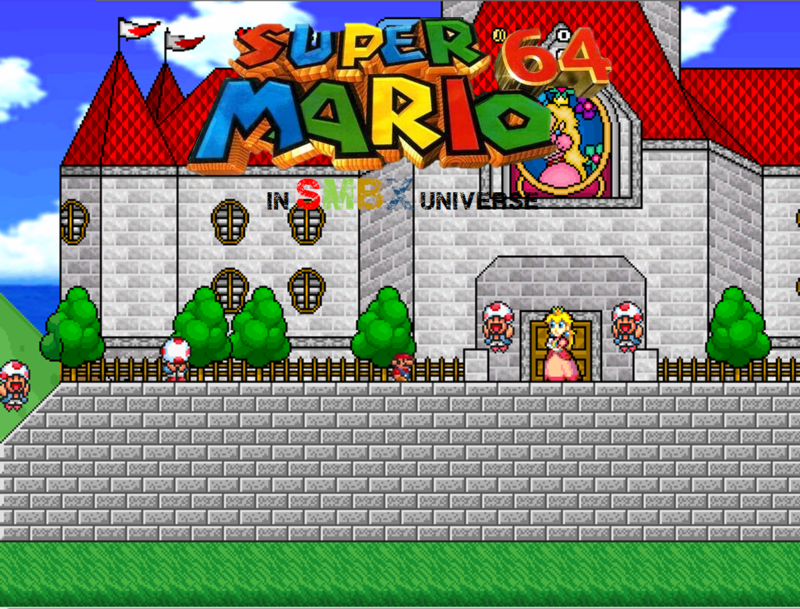 Yung Gotenks wrote: Actually i think that castle was ripped from Super Mario 63 as someone who's played it. It looks familiar. 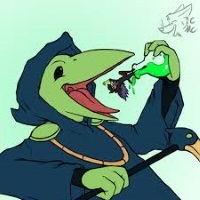 That castle is definitely from SM63. 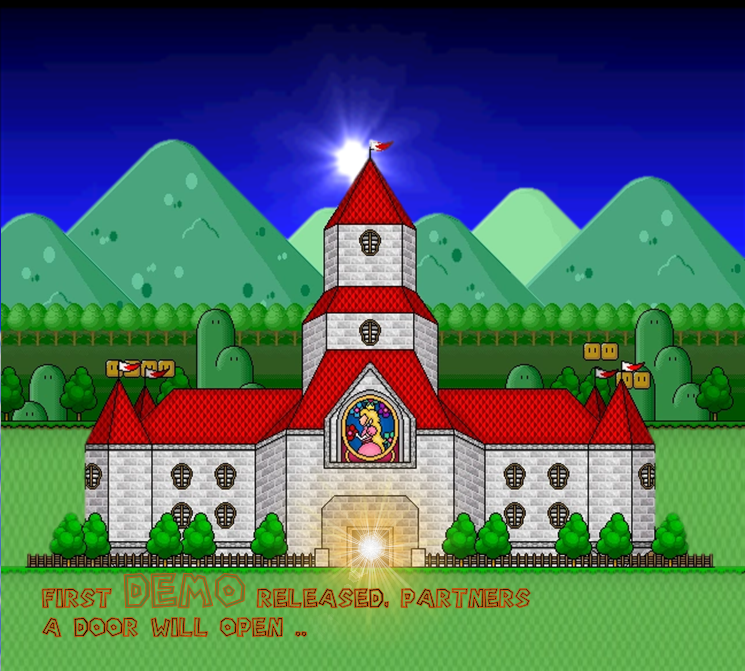 The screens are extremely attractive, I downloaded the demo and really found it similar to SMB64, you were extremely creative about the system of choosing the star when entering the level, I would never have or even thought to do it in such a way, congratulations! Majora wrote: The screens are extremely attractive, I downloaded the demo and really found it similar to SMB64, you were extremely creative about the system of choosing the star when entering the level, I would never have or even thought to do it in such a way, congratulations! 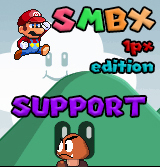 Thanks a lot , I've had a lot of problems with version 1.3.0.1, but even though I could do it for this version, the only bad thing I see about this is the battle against bowser, I think I should lower your standard of life . EDIT: This problem already got solved. There's no need to have further discussion with it. 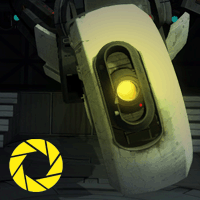 Last edited by HackPlayer7 on Sat Oct 14, 2017 9:11 am, edited 1 time in total.